The 2018 Dodge Journey is built for exactly what its namesake describes: helping Dodge drivers accomplish their journeys with confidence as they traverse through Snyder and beyond. This new Dodge SUV is perfect for road trips and lengthier drives, as its stellar fuel efficiency allows you to travel over 500 highway miles on a single tank of gas. As you cruise, you’ll stay connected with state-of-the-art technologies and advanced safety systems too. You’ll even find smart storage solutions throughout the cabin that will accommodate all your cargo needs. Visit our Dodge dealership in Snyder, TX, to lease or finance the 2018 Dodge Journey today! 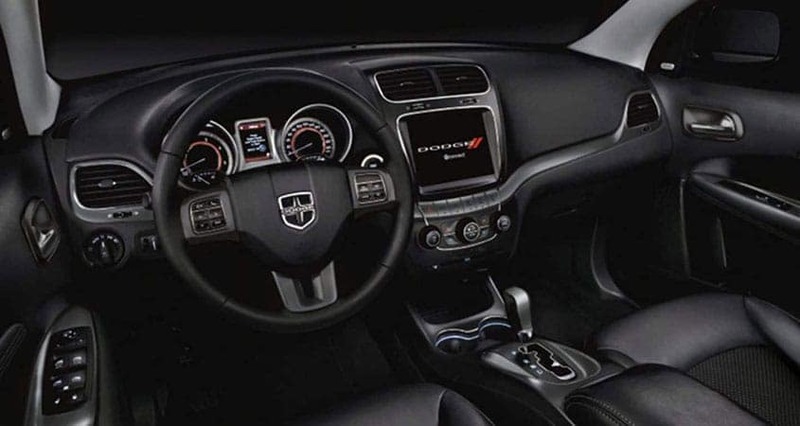 Don’t hesitate to contact us if you’re curious to learn more about 2018 Dodge Journey specs and features. You can set up a Dodge Journey test-drive, speak with our Dodge financing team and more at Blake Fulenwider Chrysler Dodge Jeep Ram Snyder!